Western Union’s #ChainOfBetters program helped transform lives all over the globe last year, and has continued to grow strong in 2016. The Chain has worked to empower people and give them the opportunity to help make the world a better place for others. Western Union has already shared the stories of many of the Chain’s winners from Jeremiah Dayto in the Philippines to Fran in the United Kingdom. Now Western Union invites you to learn about more people who were nominated and were given money to help change the world for better. Take a look at these amazing experiences below! In Nigeria, many people do not have access to health care, so Brooke knew what she would do for her “better.” She will use the $1000 from Western Union to help finish the building of a medical clinic that will provide health care to those who need it the most. Brooke and her partner, Semret, have been working to build the clinic for two years and now they finally have the chance to do it and give back to the community. 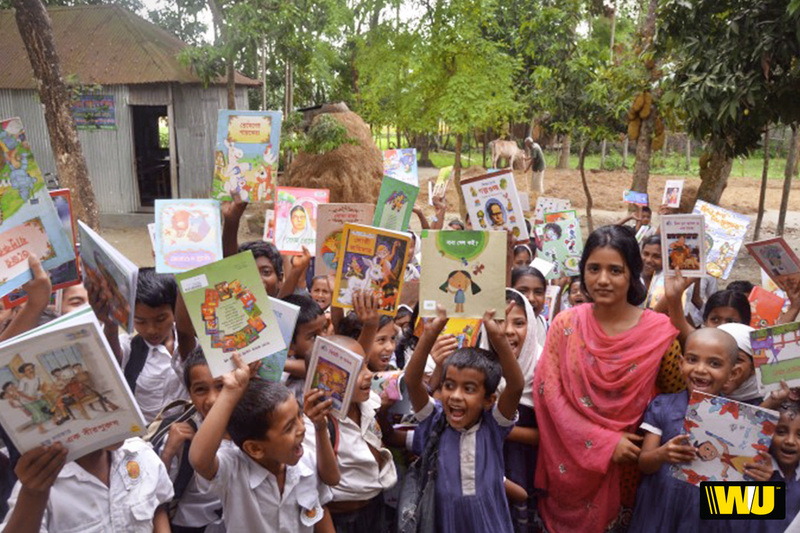 Arif knows the importance of education, which is why he used the $1000 to help establish libraries in schools in the Kurigram district in Bangladesh. With these libraries, children in the area now have the chance to read and explore their creativity. Arif said these libraries would also give the children the ability learn about new and exciting subjects like animals, plants and the environment! Ivan is a history teacher in the residential district Markha, near the city of Yakutsk. The school has over 500 students, many of whom need to travel from school to their homes in the dark due to the long winter in Russia. That is why Ivan will use the money to purchase light reflective equipment so drivers will be able to see students walking home from school at night. For Ivan, it’s all about getting the students to and from school safe and sound, which is why it’s just another great example of Western Union’s Chain of Betters. In the Makoko area of Lagos in Nigeria, it can be difficult for pregnant mothers to receive the care and attention they need. Adeloye knew he had to help, which is why Western Union gave him money for his “better” which will go to the SaferMom organization. Adeloye and SaferMom will work with trained medical professionals to help hundreds of pregnant women have a safe birth for both mother and child. “This will help save lives of hundreds of mothers and newborns yearly,” he said. If you would like to become a part of the Chain of Betters, submit your idea and tell us what your “better” would be. No purchase necessary. Void where prohibited. Enter now and see Terms and Conditions at www.wu.com/chainofbetters for details including age and country restrictions.